Portable Stairs that are IBC and OSHA compliant. 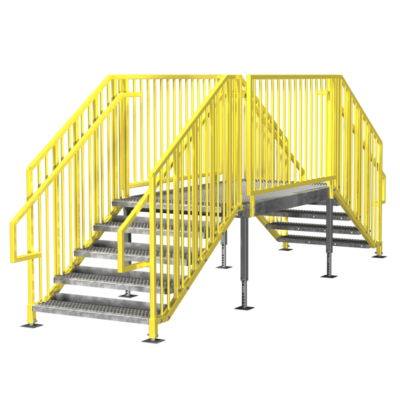 ErectaStep portable series portable metal stairs provide a quick and easy solution for your temporary or portable metal stair needs. 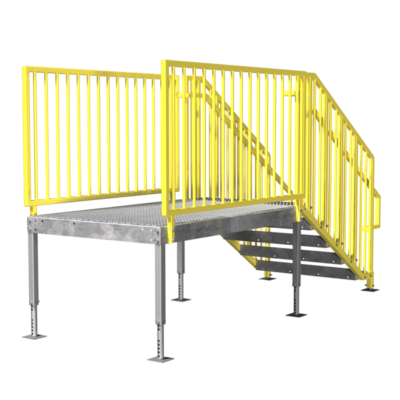 Two models are offered that are designed to be compliant with either OSHA or IBC standards and regulations. 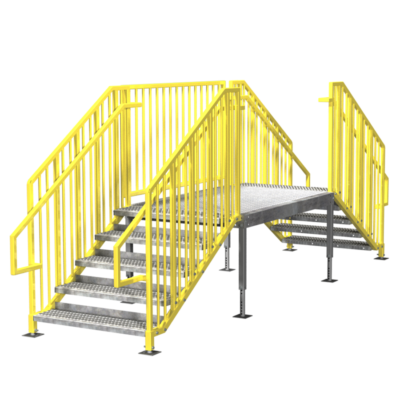 These portable stairs are ideal for permanent or temporary stairs. They’re perfect for job site trailers, modular office buildings, temporary housing, industrial and construction sites. 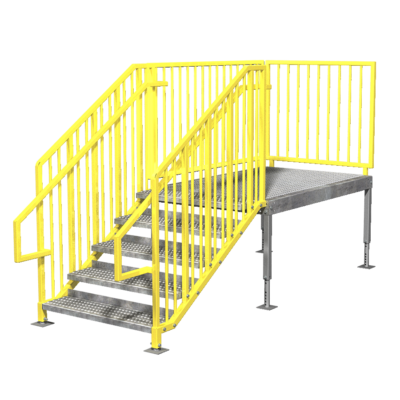 We also have Industrial Stair Solutions for applications that are require custom configurations or are permanent. 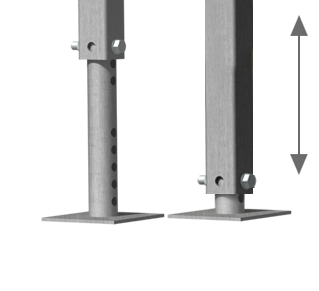 ErectaStep portable stairs comes with adjustable legs for uneven surfaces keeping your platform height even and level to your door or access point. 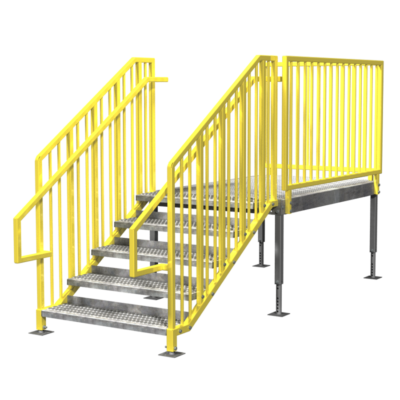 As with all ErectaStep Metal Stairs, our portable metal steps come standard with more features like a large, slip resistant, 4×6′ and 4×4′ platform with the ability to have steps from either the front, side or two sides. Available in sizes from 28″ to 63″ inches high. All have field adjustable telescopic legs that allow the unit to adapt to virtually any terrain for easy setup and leveling.